Gold has been used as a unit of trade for centuries. 1. What Are the Dangers of Silver Investment? The range of investment products available to individual investors is greater than ever, and includes everything from ultra-conservative products like U.S. government bonds to high-risk speculations in the commodities market. Investing is an inexact science at best, and financial advisers often disagree on what types of investments are appropriate for an individual's portfolio. When it comes to owning precious metals, opinions are widely divergent, but there are advantages to having at least some exposure to precious metals in your investment portfolio. Adding precious metals to your stock portfolio tends to improve your portfolio's overall performance, according to the publication "Can Precious Metals Make Your Portfolio Shine," by C. Mitchell Conover, Ph.D., CFA, et al. The authors of the report note that performance improved regardless of the type of precious metal added, although gold tended to provide the greatest incremental gains, while silver provided the smallest incremental benefit. The study, which covered a period of 34 years, indicated that holding a 25 percent portfolio allocation of precious metals equities resulted in an annual increase of 1.65 percent over portfolios with no exposure to precious metals. Gold and other precious metals are considered to be hard-currencies that tend to move in the opposite direction of flat-currencies, such as the U.S. dollar. When the dollar weakens, the price of gold and other precious metals tends to increase, notes CBS Money Watch. As individual and institutional investors compete with governments to purchase gold and other precious metals to hedge against the weak dollar, the natural effects of supply-and-demand kick in, resulting in an increase in the precious metal's market price. The best time to own precious metals appears to be during times when the Federal Reserve is tightening. The Federal Reserve tends to tighten, that is raise interest rates, to combat the effects of inflation. Both direct and indirect precious metal investments are viewed as a hedge against inflation, so when the Federal Reserve tightens, precious metals tend to rise. The Conover et al report indicates an investment in precious metals provides fewer benefits when inflation is low and the Federal Reserve is expanding. The Conover et al report indicates significantly larger benefits when the investment is in an indirect precious metals equity, such as stock in a precious metals mining company or precious metals mutual fund, rather than a direct investment in physical ownership, such as gold bullion. The value of an investment in physical precious metals only increases if the market price of the precious metal increases. The value of an indirect investment, such as stock in a gold mining firm, is based in part on the company's operation, so the market price of its stock might increase, even if the price of gold remains flat. Always know your investments broker. There are plenty of con artists willing to play on an investor's fears and naivety. 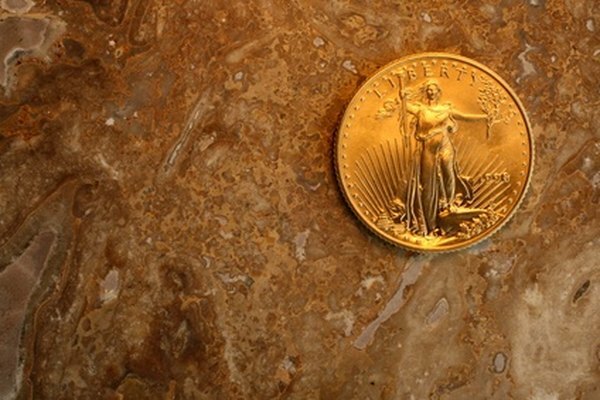 The Vermont Department of Financial Regulation warns against con artist schemes that attempt to sell investment grade precious metal bullion or coins by making exaggerated claims about the investment's potential appreciation. These schemes may include exceptionally high commissions, inflated storage rates or even outright fraud if the seller never delivers the coins or bullion. Can Precious Metals Make Your Portfolio Shine? ; C. Mitchell Conover, Ph.D., CFA, et al. CBS Money Watch: Should You Buy Gold Now?